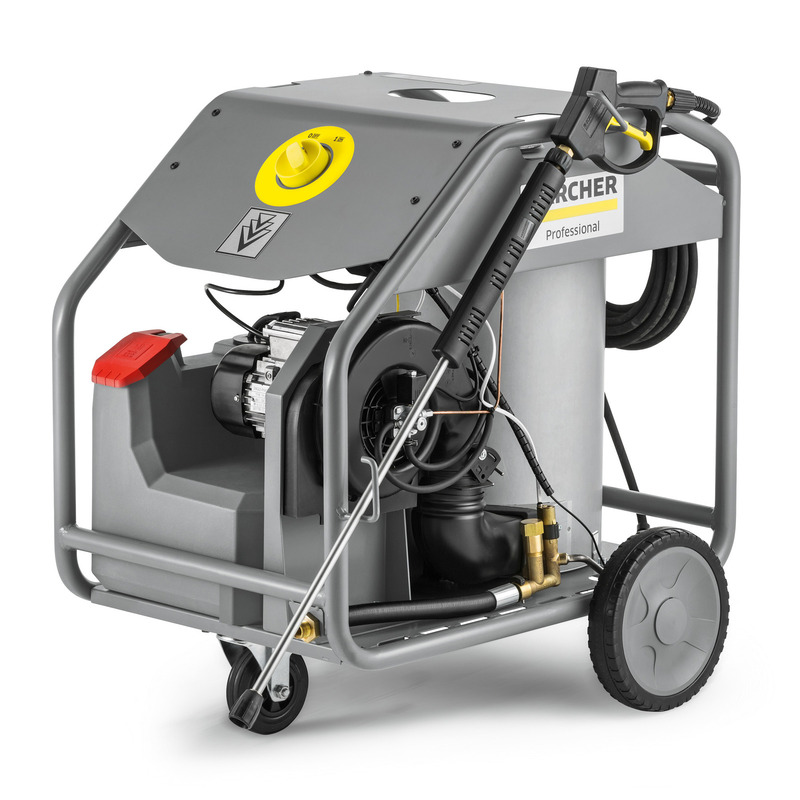 HG 64 10305100 https://www.kaercher.com/za/professional/high-pressure-cleaners/hot-water-generator/hg-64-10305100.html With our HG 64 hot water generator (64 kW heat output), you can cost-effectively transform any cold water high-pressure cleaner into a hot water machine with higher cleaning performance. 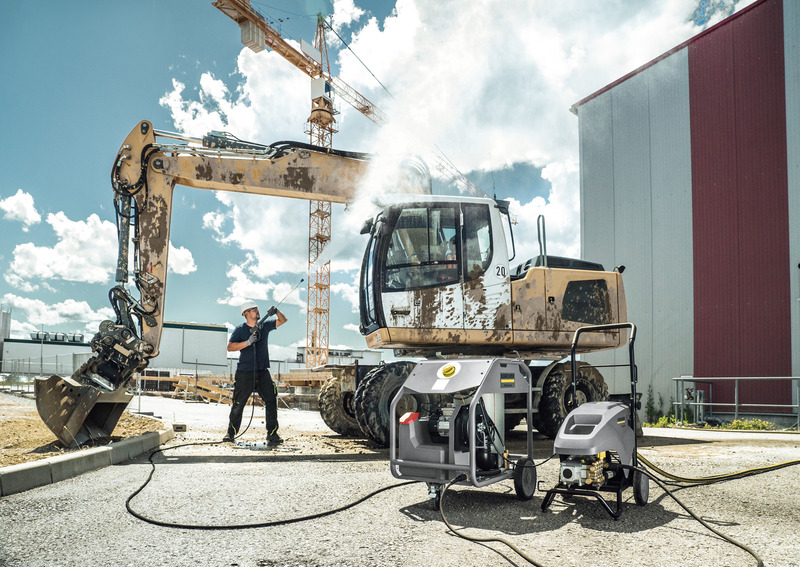 When working with high-pressure cleaners, you can achieve 35% faster and better cleaning results using hot water compared to cold water. Our HG 64 hot water generator is a cost-effective solution for upgrading your cold water machine accordingly – regardless of how old it is, its output or even its manufacturer. Hot water dissolves greasy, oily and encrusted dirt much more effectively than cold water and thereby also saves on detergent. It also significantly reduces germs and, to protect sensitive surfaces, it is possible to reduce the working pressure whilst retaining the same cleaning power. The hot water generator, which is effectively protected against damage by a tubular frame, is consistently designed for long-term use, features a safety block with pressure switch, protection against water deficiency and an efficient, low-emission and long-lasting burner with 64 kW output. In addition, an integrated Soft Damping System effectively protects the heating coil from vibrations and thus increases its lifetime. Highly efficient, tried-and-tested "Made in Germany" burner technology. Tried-and-tested Kärcher safety technology guarantees optimal protection of the machine and user. The sturdy pipe frame provides protection in continuous heavy-duty use. Shorter cleaning times and reduction of labour costs. More effective removal of oils, greases and lubricants. Germ-killing effect and protection of sensitive surfaces. Easy access to all service and maintenance components. Integrated fuel filter and removable fuel tank for cleaning. Intuitive operation thanks to the large single-button selector switch. First-class mobility thanks to large wheels and castor with parking brake. Storage possibilities for all accessory parts directly on the machine.